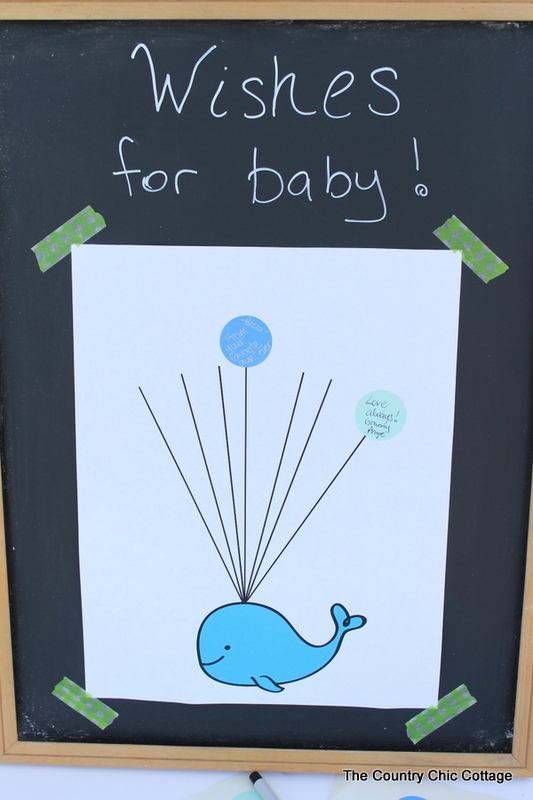 I am gearing up for a whale themed baby shower and nursery for my oldest daughter. Today I have a fun baby shower guest book idea that y’all are going to love. This is a really simple idea and will only take you minutes to put together. Don’t love whales? Don’t worry! I have ideas on how to change this up to any theme you are planning. This post is sponsored by Online Labels however all projects and opinions are my own. Start with labels in the colors of your nursery. The OL2088 labels work best size wise and comes in a variety of colors. You will also need markers for guests to sign the labels. Light (silver or white) markers will work best for dark labels. You will also need to print some art for baby’s guest book. 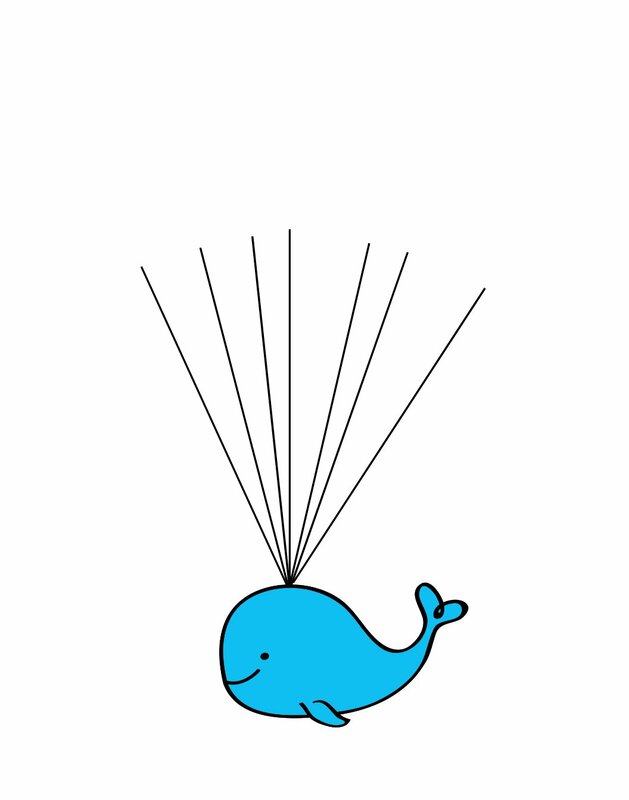 If you love whales, click on the image below or here to print this version. 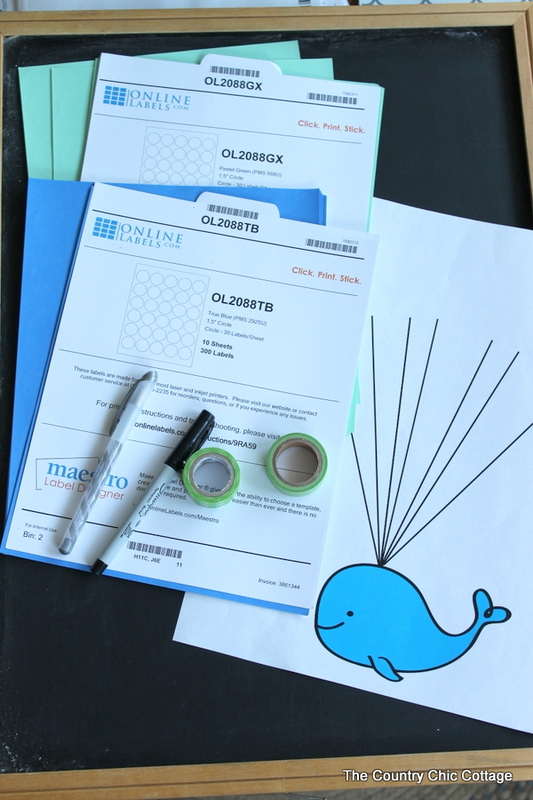 If you are not into the whales, just print the character or clip art of your choice. You can add the balloon “lines” with a marker after printing. My version is intended to be framed as an 11 x 14 however you can print on a standard 11 x 17 page size and trim if that is more cost effective. You will need to put your printed art onto a hard surface for the baby shower. I used a chalkboard but you can get creative with this one. Be sure to secure with something non-permanent like washi tape. Then as your guests arrive they can sign into baby’s guest book. They can leave just their name or a few well wishes. This is a fun activity for the guests and will be a great keepsake for mom and dad after the baby shower is over. Be sure to add this baby shower guest book idea to your shower plans! 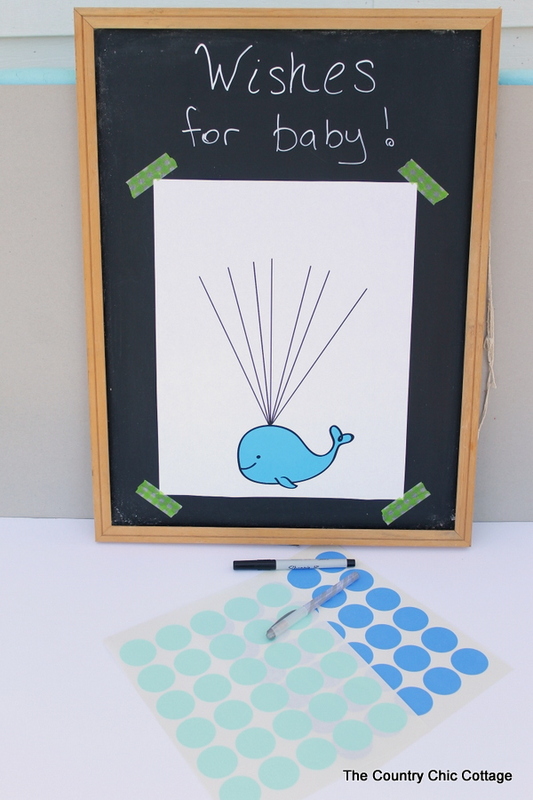 This fun activity will be the perfect way to welcome baby into the world! 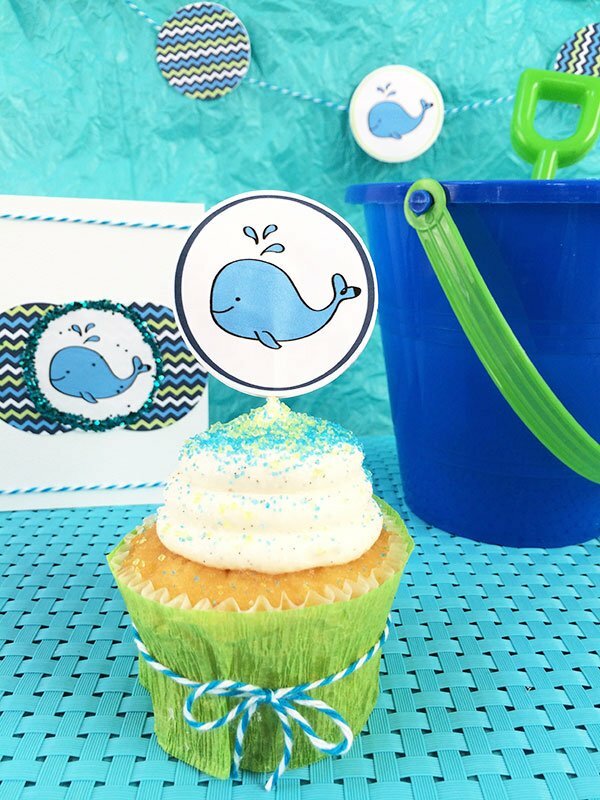 Don’t miss these other whale themed baby shower ideas! 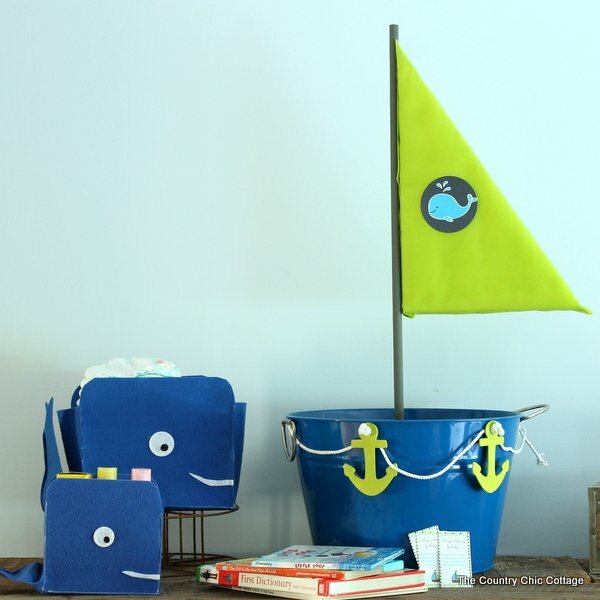 Click here to see how to make this baby shower card or book tub. 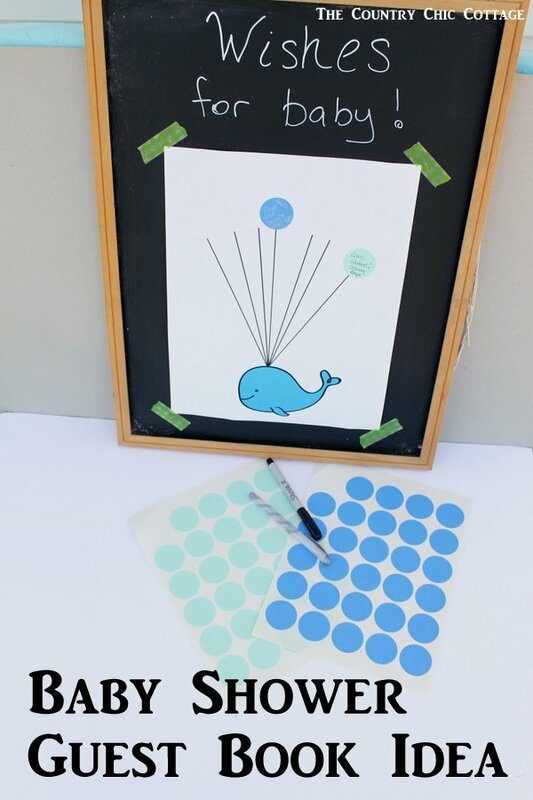 Click here to get more free whale party printables!